Register today for this year’s Leadership Institute. The meeting will focus on the community’s roles as the federal government builds a plan to end the HIV epidemic in America. Join us on Wednesday, September 5, for an all-day meeting that begins at 9:30 AM in Orlando, Florida at the Hyatt Regency Orlando. Space is limited, and priority will be given to participants attending USCA. 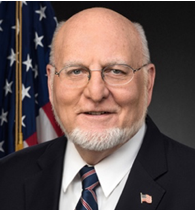 The selection of Dr. Robert Redfield as the director of the Centers for Disease Control and Prevention (CDC) provided an unexpected opportunity /challenge. Dr. Redfield has committed his life to fighting HIV, and he believes we can end the HIV epidemic in America. But we need a plan. We also know that working with CDC alone will not end the HIV epidemic. It will take close collaboration with many federal agencies, including OHAIDP, HHS, NIH, HRSA, CMS, SAMHSA, OAR, and HUD. And we are committed to working with every agency on their part of the final plan. At this year’s USCA, the federal government will share their outline and timeframe for building this plan. They will also have a town hall to gather input from USCA attendees. To help the community prepare for this paradigm shift in our work, the Leadership Institute is partnering with ACT Now: End AIDS Coalition, AIDS United, NASTAD, NCSD, NMAC, The AIDS Institute, and 30 Executive Directors to put together this all-day meeting. 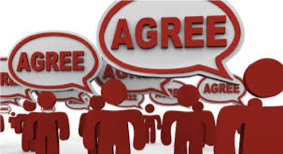 Collectively, we are working with multiple organizations to create a community consensus document that organizations can sign-on to during USCA. The foundation for this document was put together by AIDS United and will be informed by a series of community webinars. The Leadership Institute will walk participants through this document and seek additional input. The Leadership Institute will also hold panels on the models for how to end the epidemic, changes in the HIV service delivery model to focus on biomedical HIV prevention, promotion of “innovations” and new strategies, and the advocacy needed by community to make the final plan real. The Institute will also work with participants to help craft their testimony for the Federal Town Hall during USCA. This year’s Institute will be open to everyone because everyone needs to be involved in the planning to end the HIV epidemic in America. However, space will be limited. Priority will be given to people attending USCA. 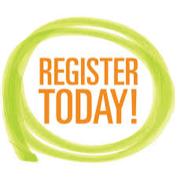 Please register for free (registration will close when the space has been filled). NMAC thanks Gilead for their support of the Leadership Institute. Carmarion D. Anderson, Black Transwomen, Inc. The final agenda is still in process and will be posted at the end of August. Speakers are still being confirmed. Please check back later for more information. Photos will be posted after this year’s Institute.